We are a welcoming congregation. 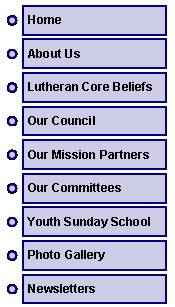 Bethel Lutheran Church welcomes all visitors. It is our responsibility and our joy to share the "Good News" of Jesus Christ with everyone! We welcome all who believe Jesus Christ as our Lord and Savior to His table to receive the sacraments of bread and wine of which Christ said, "This is my blood and my body given for the forgiveness of sins." We are a mission driven congregation giving support to our neighbors by being involved with the Portville Food Pantry, Genesis House, Interfaith Caregivers, Neighbors Helping Neighbors and The Burkhart Retreat Center for Life. We also reach out beyond our neighbors through the Hurricane Katrina relief effort in Slidell, Louisiana at the Dove of Peace Mission Center.